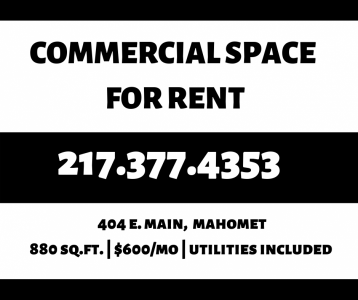 Commercial rental space is NOW AVAILABLE next to Champaign County Brewery in Mahomet! Call us today to find out more information! 880 Sq.Ft. and utilities included.